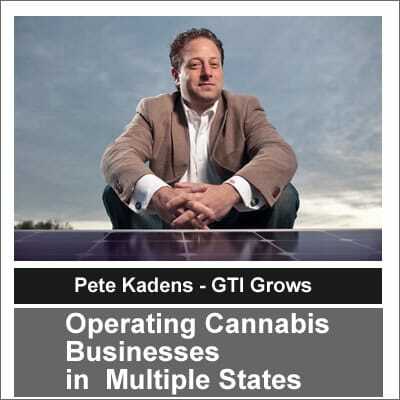 CannaInsider’s Matthew Kind interviewed the CEO of GTI, Pete Kadens, who is running cannabis operations in several states, including Nevada, Maryland and Massachusetts, and is applying for licenses in Ohio and Pennsylvania. 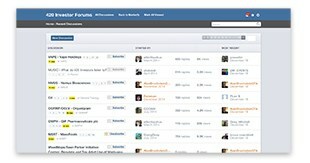 The company also has an affiliate relationship in Illinois. Kadens discussed some improvements in Illinois, the most important of which was a rule that made it easier for doctors to authorize patients. He provided overviews for each of the other markets as well, pointing to how each state program is unique. Strategically, the company looks to find tertiary markets that might be underserved, focusing on a city like Worcester rather than Boston, for example. On the cultivation side, the company looks for areas that have weak economies, which allows it to fulfill its mission of helping people and gain the support of local politicians. GTI, like other companies operating in the industry, has faced challenges that aren’t common to other industries, including difficulty in obtaining insurance for directors and offices and in accessing banking and depository relationships. Kadens shared his view of the future of the industry, where strain names become less important and experience becomes the key aspect to the product. He also described how the company uses data to drive its decisions regarding plant genetics, aiming to eliminate strains that are prone to pest infestations and trying to match strains to medical conditions prevalent in the area in which the company operates. One of the main points that Kadens made was the importance of people to his business. He described their hiring process, top grading, a method made popular by GE, and he shared the backgrounds of his four partners, each of which brings a different set of skills to the company, including former NFL pro Eugene Monroe, Ben Kovler, Anthony Georgiadis and Andy Grossman. Finally, Kadens warned of much lower prices for cannabis in the future.